Who We Are – Poggi S.p.a. Almost every product is suitable for container shipping! Poggi S.p.a. born in 1945 by Poggi brothers and it’s an all Italian company. The main activity of the Group is the design and production of vertical silos, horizontal silos, water clarifiers and hoppers of many sizes and for many different fields of application. 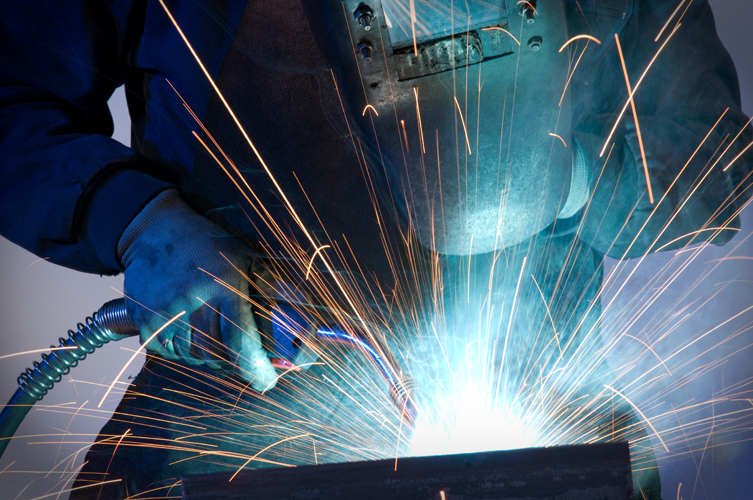 Production includes also metal structures and industrial carpentry. 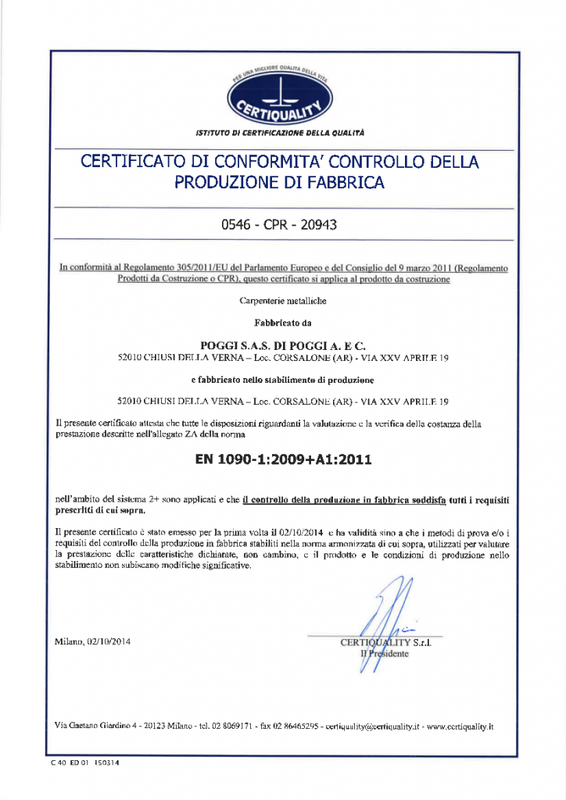 Results obtained through the years of uninterrupted activity are a tangible proof that Poggi brothers, since the beginning of their activity, were aware that customer satisfaction and the goal of a long lasting activity were possible only through care and flexibility, together with a big passion for their work. Another important activity has been the ability to adopt innovative technical solutions, investments in human resources, ability to listen to our customers needs, and then comprehend, interpret and so realize them. 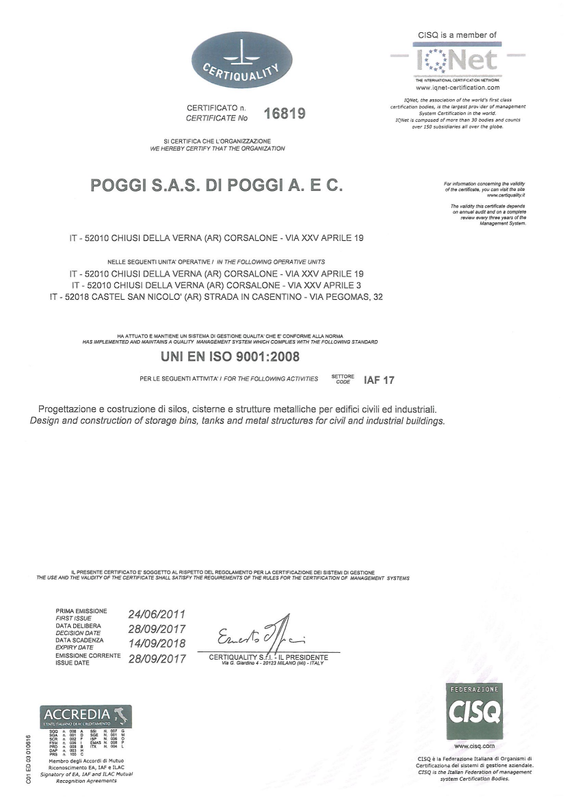 Since its creation, Poggi S.p.a. base its future on these principles that allow the company to face up every problematic with necessary experience and without any hesitation against hardest challenges of the years. 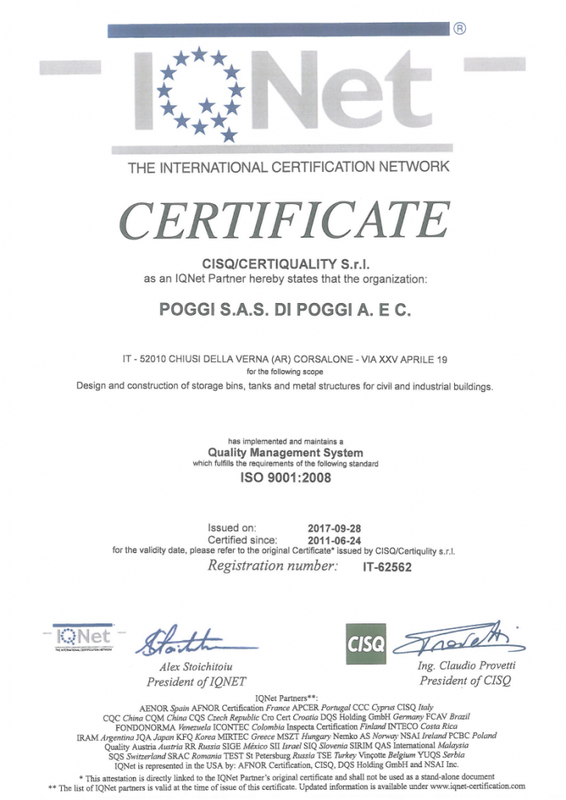 Always taking care to the environment and in a continuous improvement process, from 2011 Poggi S.p.a. has a total energetic sufficiency with zero emissions, thanks to PV plants installed on facilities roofs. 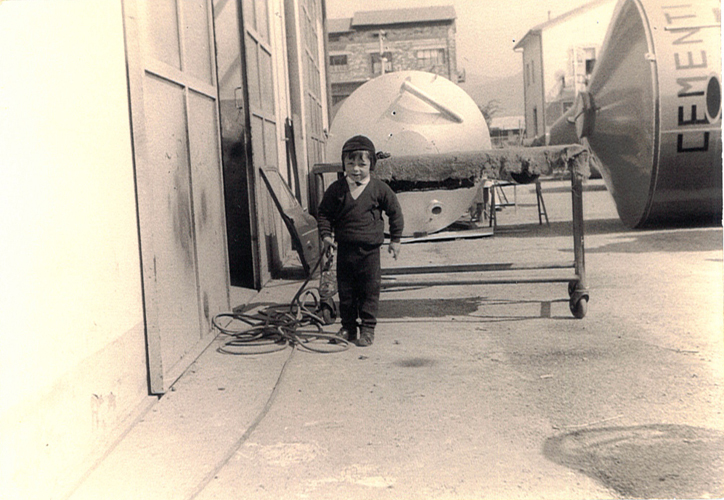 Poggi S.p.a. was born in 1945 by the two brothers Alberto and Giuliano Poggi. The initial activity of the company was dedicated to public transport preparation. Shortly after Poggi brothers, anticipating times, understand that this field was going to face big changes, so decide to begin a new way, the mechanical construction industry. 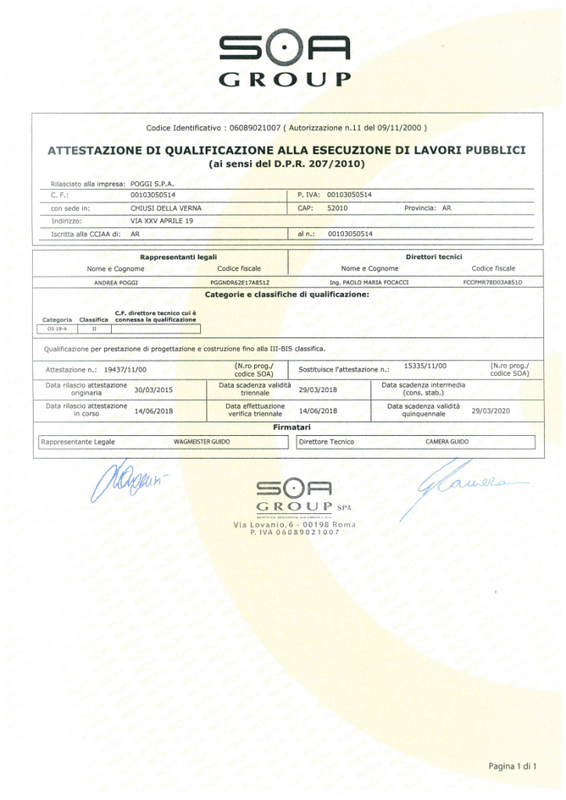 The company then pass in the hands of other two brothes, Francesco and Andrea Poggi, which gave prosecution to the company growth improving the production with suitable machines and with experienced and trained personnel. 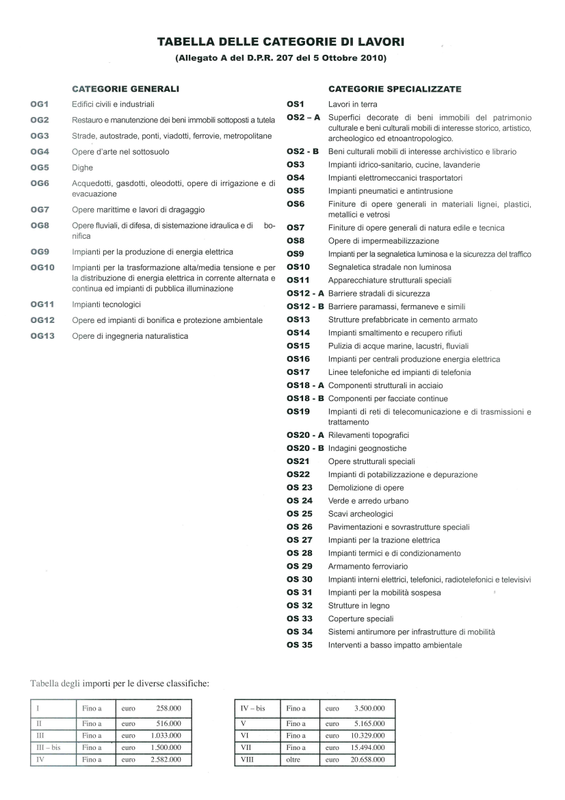 Poggi S.p.a. has a further improvement in year 2000, when the group starts the production of civil and industrial works up to the actual Group, which has 70% of works coming from other countries whit machines working in every continent. 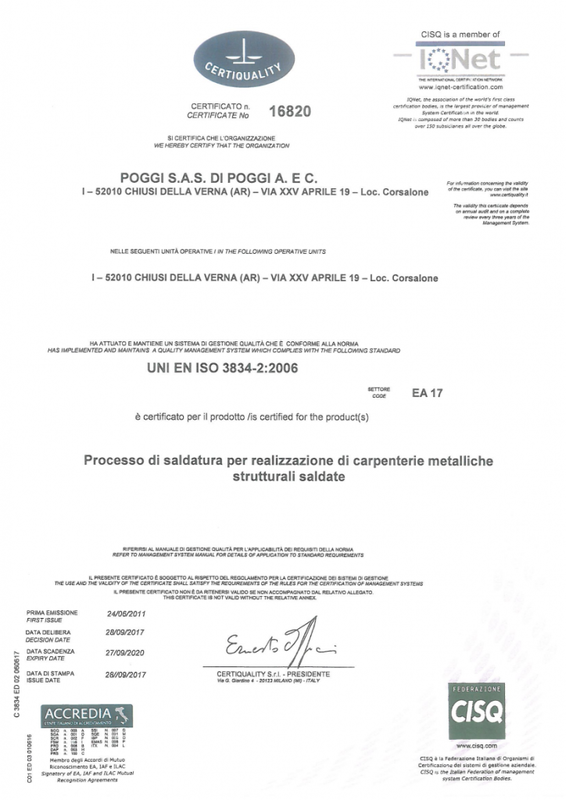 Poggi S.p.a. is dislocated in 3 production facilities and can have an extreme flexibility both in terms of quantity and diversification of the products due to the fact that every production facility is able to realize each of the procedure and have internally high specialized workers. Two-headed laser cutting, CNC plasma cutting, welding robot with double station to avoid death times from loading/unloading (in case of necessity it can work 24 H/day), a 30 mt crane for outside area product handling, 25 cranes for internal handlings. The most actual production procedures, an accurate supervision of details and a winning construction philosophy that Poggi S.p.a. applies to its products since 1945, makes Poggi today an absolute leader and secure partner for all the various operators of the fields the company is involved in. From the beginning Poggi S.p.a. considered strategic to be known on the market as a quality company, understood as professionality, efficiency, reliability and real knowledge of our job. 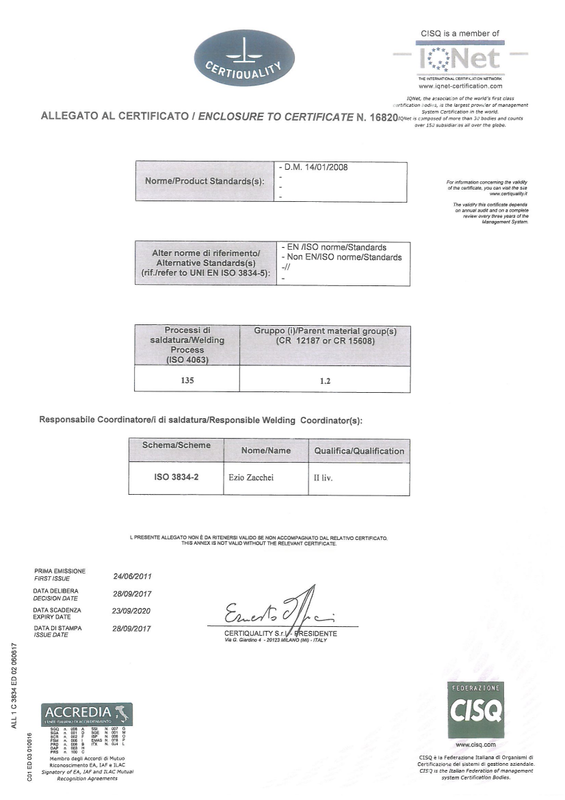 Furthermore, the Direction to fully accomplish the requirements from UNI EN ISO 3834-2:2006 has introduced its internal workers in a training course to be qualified for “Visual Welding Inspection” and “WPS Certified Welding Process”, to accomplish the “Total Quality System” procedure. Beyond the above mentioned certifications, Poggi S.p.a. gives more quality guarantees thanks to the sophisticated nitrogen painting process (antibacterial), to the regular ultra-sound checks done on weldings and from the professional 3D design program which thanks to its accuracy allow the parts perfectly match during erection/assembling process, making the work faster and free from any interruption.